Ecoluxlighting - See More Sew More. 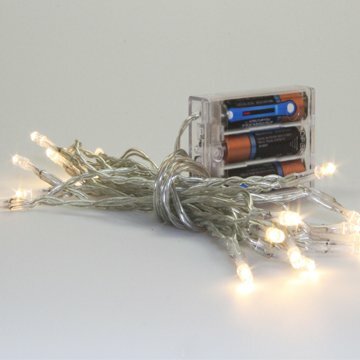 LED Light (3 LED), Power supply, Switch, 2 wire clips. 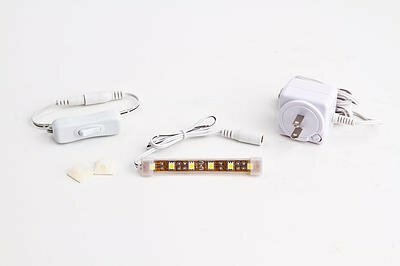 Ou r3 LED Light fits most sewing machines with the throat measuring between 2 1/4 and 4 1/4. . Light up your sewing area. Ecoluxlighting - See More Sew More. 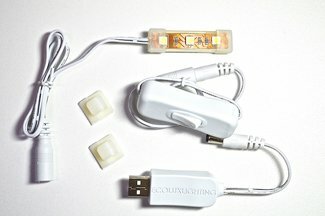 LED Light (6 LED), Power supply, Switch, 2 wire clips. 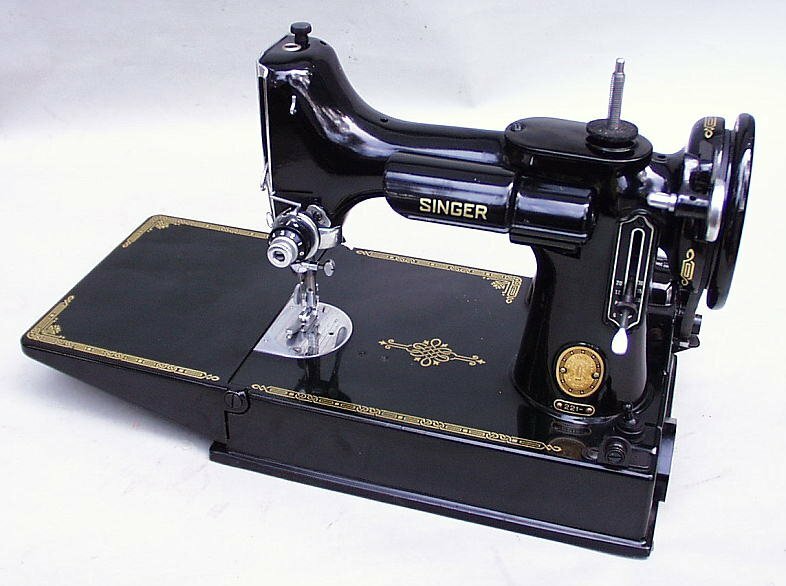 Our 6 LED Light fits most sewing machines with the throat measuring 4-1/4 inches. Sewlite, by Lumitask. LED lighting for your wonderful Featherweight 221. Provides clear light in areas never before possible. No need to have an extra power supply. Uses the power from the lamp socket. Battery powered lights will add sparkle to your quilts! Simply create holes with grommets, a button hole stitch or use a fabric adhesive to stop fraying. Pop the lights through the holes and create a small pocket on the back side to hold the battery pack.